Save time and land more interviews with easy to edit professional resume templates. When applying for a job your resume and cover letter is the first impression the recruiter gets of you. 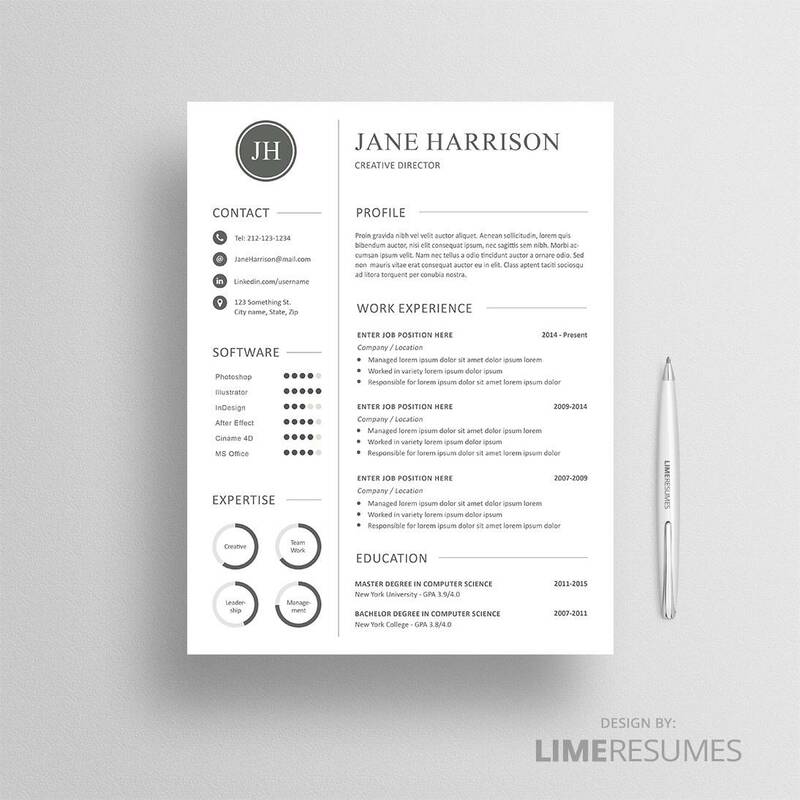 With professional resume templates you will make a great first impression and you can grab the recruiter’s attention who normally spend just six seconds when scanning through each resume. By using a resume template that has a clear design you make sure that the recruiter finds all important information fast and therefore increase your chances of getting to the ‘Yes’ pile. 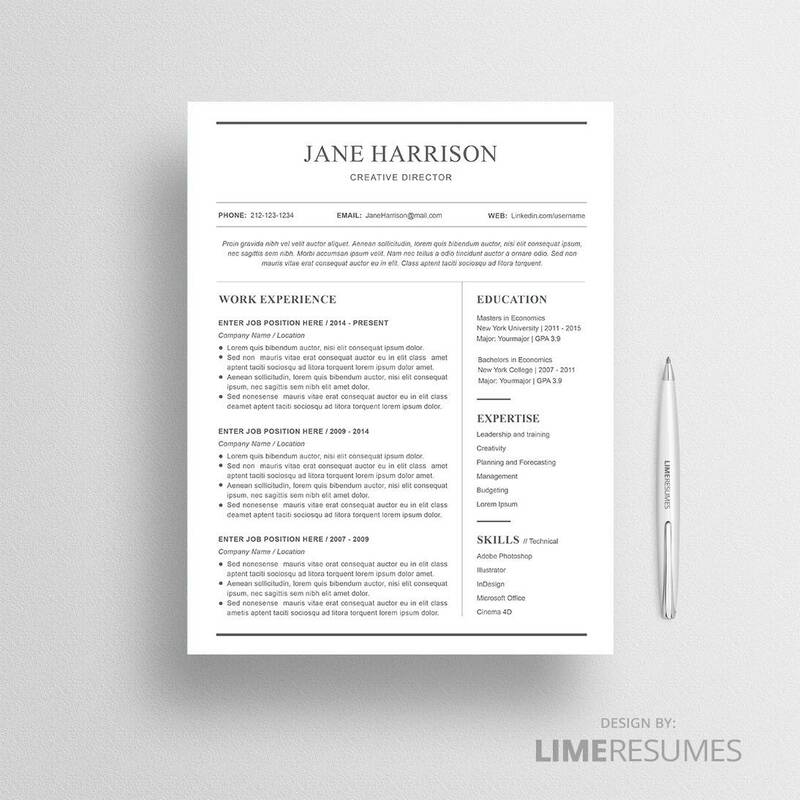 Instantly downloadable resume templates that are easy to edit will save you time. Support included; if you need help, our customer service will be happy to help you. Clear design helps the recruiter to find important information fast. Take your modern print outs with you to job interviews and job fairs. Professionally designed resume template can help you to get more callbacks & interviews while other applicants get put in the ‘No’ pile. Choose the template that best suits your personality and the position that you’re applying for. 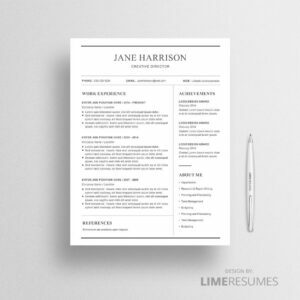 Our professional resume templates come in different sizes (Letter & A4), formats and includes all the essential pages. Love it! Simple and user friendly, while still a polished resume. Thank you. This is a FANTASTIC resume. Really easy to edit! Looks professional and not over the top. Template really looks excellent and is fairly easy to customize. Seller was was super helpful in finding a couple of specific icons I needed and provided great support for a couple questions I had. Highly recommended! Easy to edit. Perfect for a busy person. Read our latest career and resume advice and visit our blog. Order resume design service & we’ll deliver your resume filled in with your information in the design of your chose.